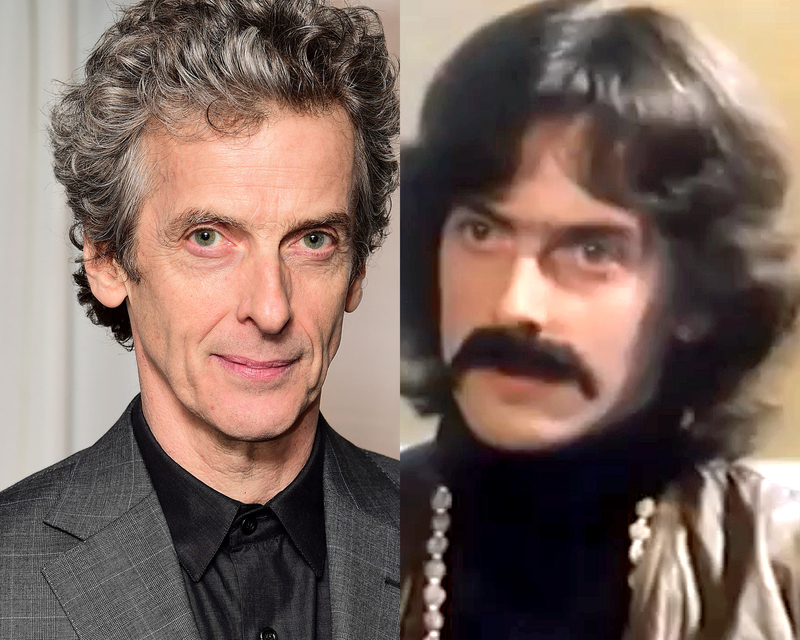 WATCH: Remember When Peter Capaldi Played George Harrison? No? It happened. In a 1980s TV movie that also featured the brother of ANOTHER future Doctor Who. Peter Capaldi, the current Doctor Who, bows out of the role this Christmas as he hands over the baton to Jodie Whittaker, the first woman to play the character. When Capaldi became the Doctor back in 2013, he was already familiar as the foul-mouthed Malcolm Tucker in the political satire The Thick Of It. But are you familiar with his portrayal of one of the most famous men in music history? Back in 1985, the 27-year-old Capaldi had one of his first major acting gigs in an American TV movie called John And Yoko: A Love Story. That’s right, it was a film about the late Beatle and his missus. And who did Peter play? Why, George Harrison, of course! Can’t see the resemblance? Well, how about if they stick a mop-top wig on him? Still can’t see it? How about a fake moustache? If that wasn’t hilarious enough, then get a load of who’s playing John Lennon alongside him: only Mark McGann, whose brother Paul also went on to play Doctor Who, in a one-off special in 1996. There’s obviously something very wibbly-wobbly and timey-wimey going on there. Or it’s just a coincidence.